The Travers Dressage Bridle is for the Dressage rider who prefers a classical cavesson noseband, with the option of a flash, and is a wider version of the Levade. The Travers features a 1 1/4″ padded round raised noseband, with a 3/4″ matching browband, 5/8″ cheek pieces, and a padded, contoured headstall. 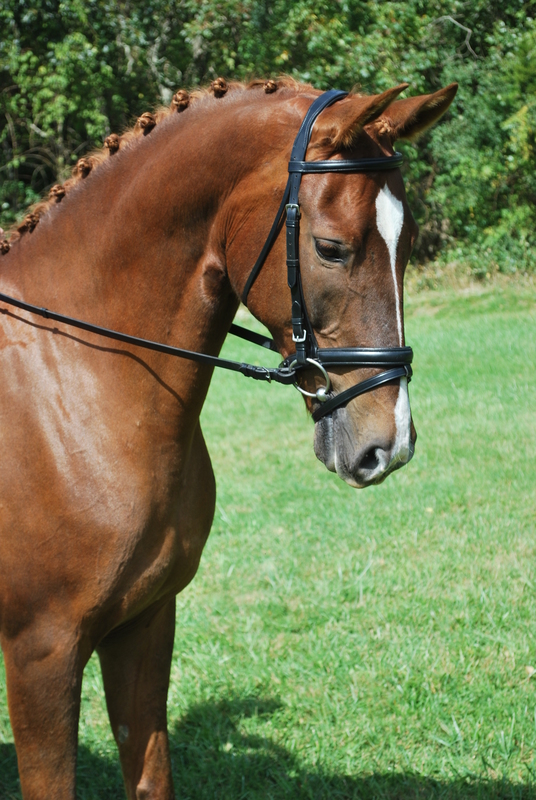 Comes complete with 3/4″ Dressage Reins (plain leather reins with stops). This bridle is made of the best Grade A Sedgwick’s English leather. All hardware is stainless steel, buckle end, with a roller buckle on the noseband.